Are you looking for portable storage in Albany? Then you’ve just found your best solution for safe, efficient, and affordable storage and moving solutions. 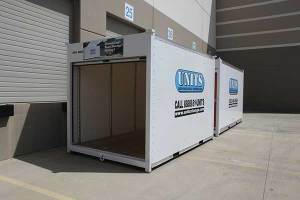 UNITS of the East Bay provides you with secure portable storage options to suit your needs – whether you’re moving to a new home and need a way to transport your stuff, or you’re looking for off-site storage at our nearby warehouse. 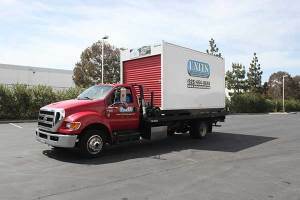 You call us, we deliver your UNITS, and you fill them up at a rate that works best for you. We make your next big move easy and hassle-free. That’s a guarantee. There are a lot of different moving and portable storage companies in Albany – but none of them are quite like UNITS. Sure, you could rent a big moving truck or van to transport your furniture and household items – but have you ever had to drive one of those things? We can’t tell you how many horror stories we’ve heard of rental trucks gone wrong. The other option is to pay a moving company to transport your belongings, but often times they take longer than expected, or your things aren’t loaded properly and you wind up with a box of broken dishes. Instead, choose UNITS and you take control of the loading and unloading process – we transport it safely for you. Our UNITS containers come in two sizes so that you can choose the device that is best for your individual needs. 8 ft. x 8 ft. x 12 ft.
8 ft. x 8 ft. x 16 ft.
Each container is resistant to UV rays, moisture, mold, and mildew, ensuring that your belongings stay safe for the duration of their stay in our containers. Our UNITS are also equipped with translucent rooftops, allowing for adequate natural lighting as you load and unload your container. We also sell a variety of moving and packing supplies for your convenience, including boxes, tape, furniture covers, straps, and much more. Are you looking for portable storage in Albany or a nearby area? Check out our list of regularly serviced locations in the East Bay and beyond. That’s just a glimpse of our service area. Don’t be afraid to call us and see if we can be your portable storage solution!